Stephanie Cosgrove holds a podiatry degree with Honours from QUT (1990) in addition to a Master of Health Science majoring in podiatry . This was completed in 1996, also from QUT. During her studies, Stephanie was awarded several university prizes, including the prestigious C.W.Graves award for excelling in orthotic design and manufacture. She has built on this knowledge to patent internationally, a new type of corrective orthotic device called a Copythotic. Stephanie has been in private practice since 1991 and has spent several years studying and assisting in foot surgery. Stephanie’s primary professional interests lies in pain relief, especially in those for whom prior interventions have failed. Foot pain, particularly if debilitating, long term or resistant to previous treatments. Painful nail conditions that have resisted other treatments. The effect of foot problems on body mechanics, particularly in causing knee, hip, back and shoulder pain. Pre-surgical discussion of surgical and non-surgical options. New: Shock wave therapy / ESWT / extracorporeal shock wave therapy for plantar fasciitis, heel pain, Achilles Tendon injuries and other soft tissue injuries of the foot ankle and leg. Stephanie has also written a reference book to provide doctors with a resource to better educate their patients. “Common Foot Disorders and their Effect on Body Mechanics” covers the 20 most common foot disorders and is available on this site under the “Info Sheets” tab. It can be used freely by doctor’s for their patients and individuals for their own use. Please refrain from using this IP for commercial purposes. 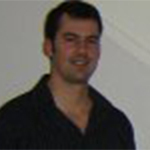 Jason gained his qualifications in 2001 from Queensland University of Technology after completing a Bachelor of Health Science – Podiatry. Since 2003, Jason has been an asset to the Walk Without Pain team, offering out of clinic home visits for his patients who are unable to visit the clinic due to disability. With a passion for all aspects of podiatry, Jason particularly enjoys focusing on diabetes care, paediatrics and sports/biomechanics. During his down time, Jason enjoys spending time hiking, camping and walking his dog with his wife and two sons. 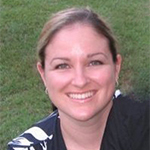 In 2006, Belinda completed her qualifications from Queensland University of Technology with a Bachelor of Health Science – Podiatry. Following her graduation, Belinda began her career in private practice in Hobart before returning to Brisbane and joining the Walk Without Pain team in 2008. In addition to her podiatry qualification, Belinda also has completed a Bachelor of Biomedical Science from Griffith University, and is due to complete a Graduate Certificate in Diabetic Education in 2018. Belinda has a focus in diabetic care and education, general palliative care and biomechanics, and is licensed in use of the Pinpointe laser for fungal nail infections. Megan graduated from Queensland University of Technology with a Bachelor of Health Science – Podiatry in 2009. Megan commenced working at our clinics prior to graduation and has become an essential part of the team. Megan also has completed a Graduate Certificate in Podiatry Therapeutics 2016 as well as a Prolotherapy course 2018. She is proficient in the art of Copythotic making. Megan enjoys all aspects of podiatry practice but has a special affinity for diabetic and mechanical complaints. Megan also is licenced in the use of the Pinpointe laser for fungal nail infections. Charlotte graduated from Auckland University of Technology in 2007 with a Bachelor of Health Science, Podiatry. She has worked in private practice in both Australia and the United Kingdom. Charlotte is a keen sports woman enjoying running, cycling and general fitness. She enjoys all aspects of podiatry with a special interest in sports injuries/biomechanics. Charlotte is also trained in the use of our Pinpointe laser for fungal nail infections.